For the month of January at Scrap it with a Song - we are reviewing some of our favourite songs from the past year. 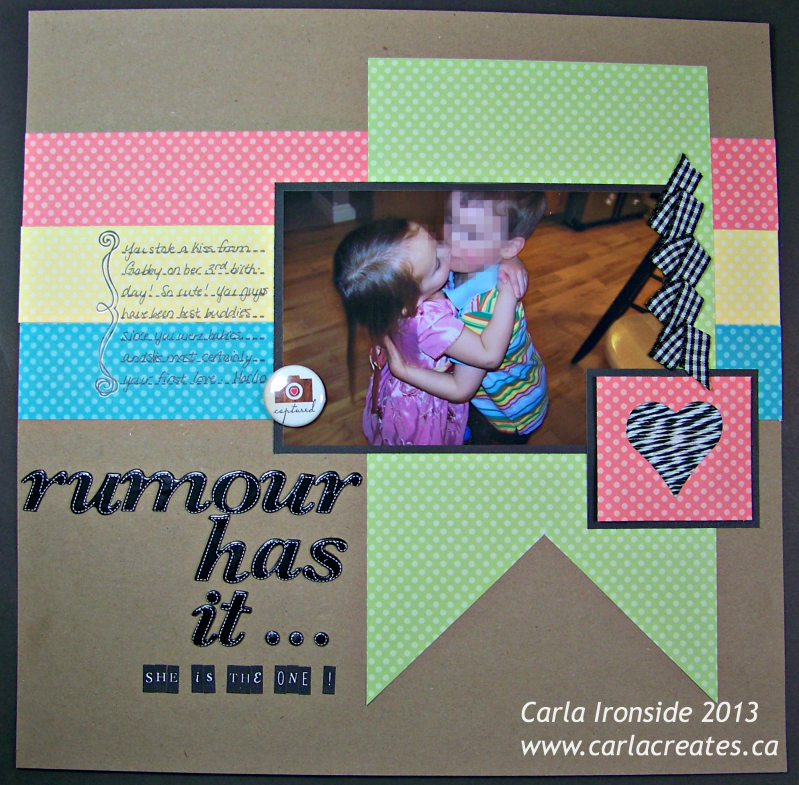 Up on the playlist this week is "Rumour Has It" from Adele! My sketch is the January 1st sketch from the STUCK SKETCHES blog. I'm also linking up to the Scrapfit "Negative Punches" challenge and the Frosted Designs Recipe challenge (stickers, rubons, stamping, punches). Hope you'll play along - you have until January 31st to visit Scrap it with a Song and share with us your "Rumour Has It"-inspired creation! See you there. Adorable page! I love the negative punch! What a cute picture and cute layout too! I love the colors and the use of the repetitive dot paper. The black and white gingham ribbon is the perfect accent! Thanks for sharing with us at Frosted Designs! OK ... talk about a super cute layout!!! How adorable :) I love the negative heart punch with the twine behind!!! Thanks for joining in our ScrapFit workout!